As we move into the next faze of the high school sports season, I would like to take this time to thank some very important people who have helped us along the way in making the season to this point a success. First of all, a collective “thank you” to all of the student-athletes and their parents who have provided tons of memorable moments that we have witnessed to this point. 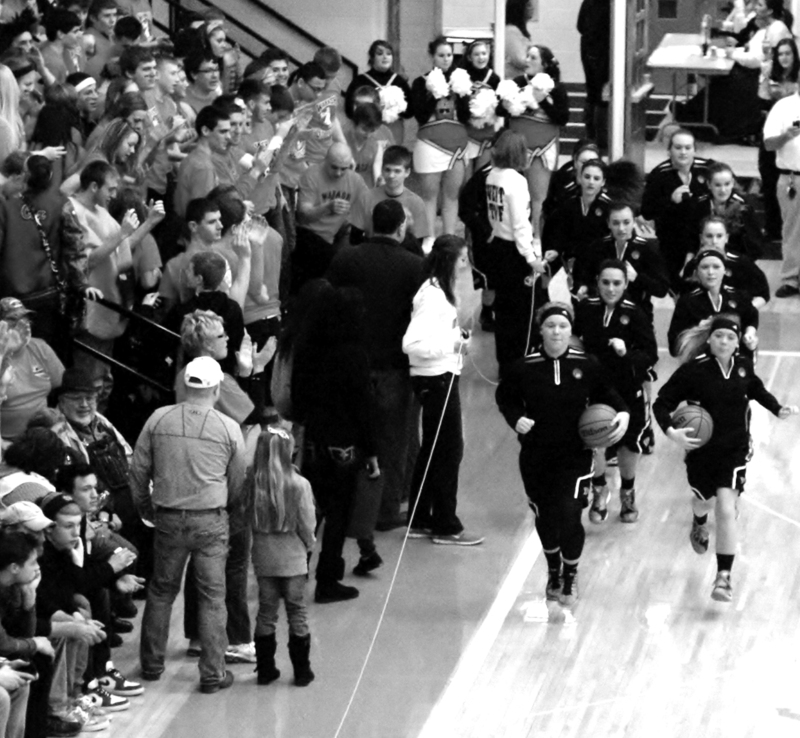 Without you, there is little reason for us to document Wabash County sports exploits. Another group that deserves a lot of credit are the coaches, who prepare the student athletes each and every day for their shining moments during the season. Long hours of preparation, practice sessions, meetings, interviews, dealing with weather conditions and schedule changes make their labor of love a tough road to navigate at times. 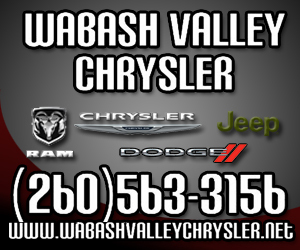 WARSAW -- The Wabash Lady Apache basketball team traveled to Warsaw Saturday to play in itsfirst ever semistate. Wabash got to Warsaw by winning the Manchester sectional and Lapel regional. 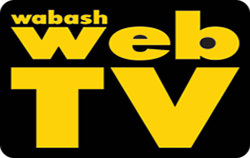 Fort Wayne Canterbury would end the Lady Apache run, as Wabash had a cold shooting night, connecting on just 20 percent from the field in a 57-39 loss to the No.2 team in the state. 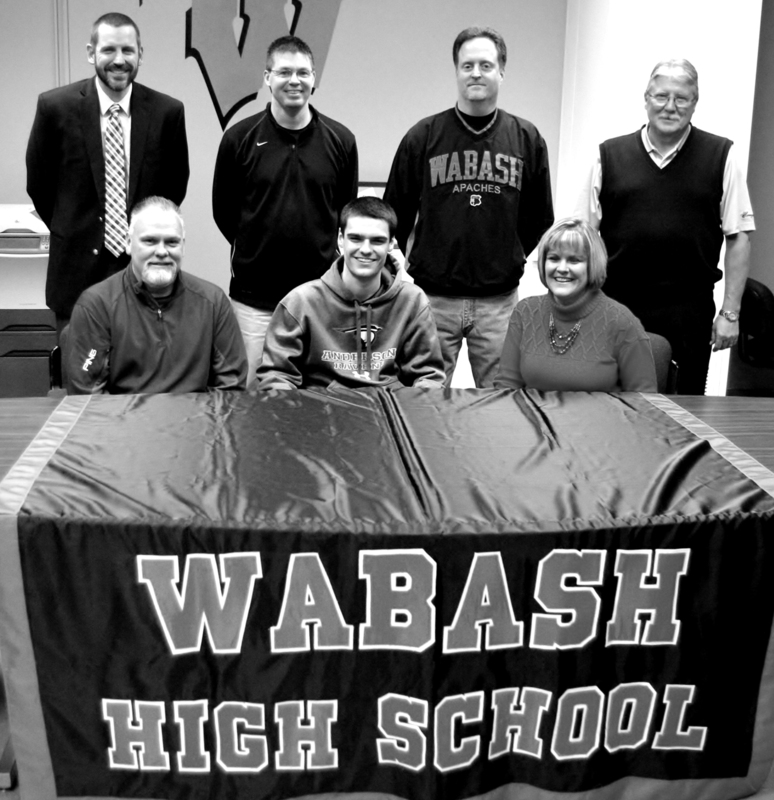 Wabash senior Brodie Hough made his decision Thursday to play golf at Anderson University next year. The Ravens are led by first year coach Kent Williams. Williams comes to Anderson with over 40 years of golf experience. Since 2010, he has been a golf instructor at Gray Eagle Golf Course in Fishers. In the 37 years prior, Williams served as Head Golf Pro and greens superintendent at Brockway Golf Course in Lapel. 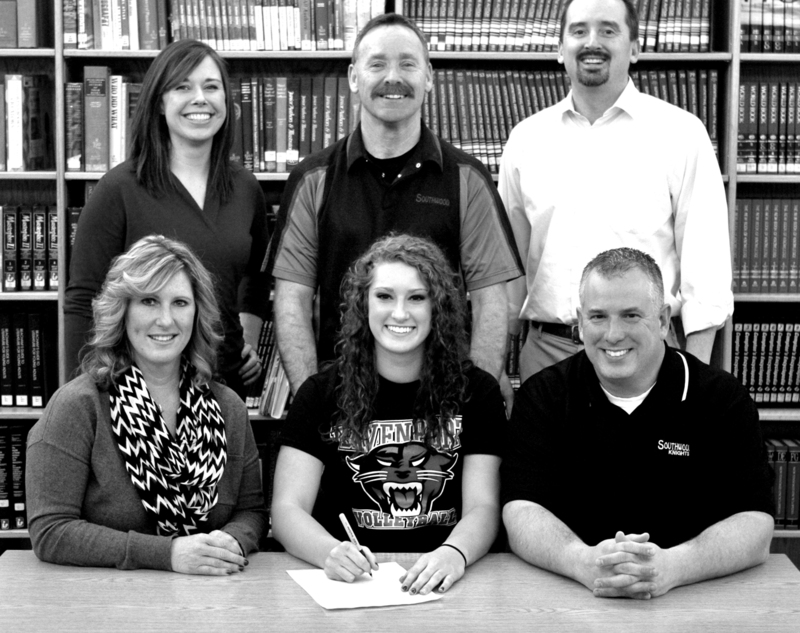 Southwood senior Sami White signed her letter of intent Friday to continue her volleyball career at Davenport University in Grand Rapids Michigan next year. White led the Lady Knights to the 2A state championship game this past season and was selected first team all conference the past two seasons along with being selected first team all state and a member of the north all star team this past fall. 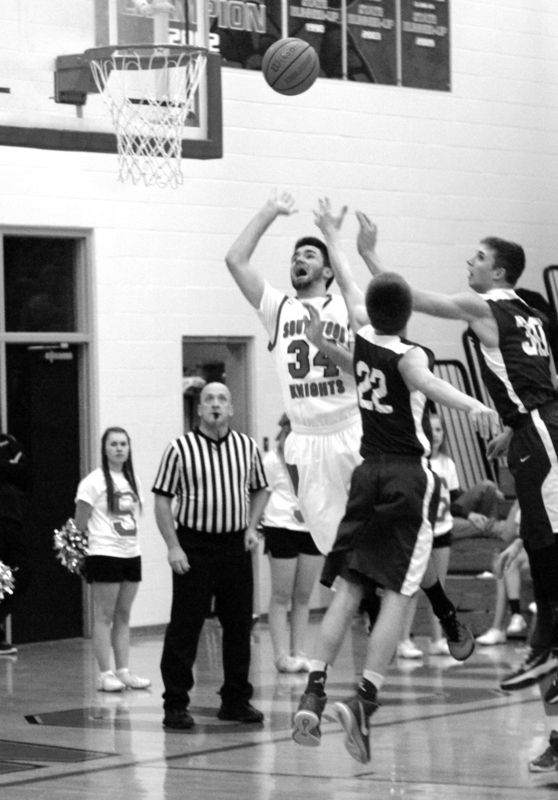 The Wabash boys’ basketball team ended its regular season Friday with a 44-28 loss to Elwood. The Apaches have a 5-17 record heading in to this week’s sectional. The Southwood boys basketball team ended their regular season on a high note, defeating Bluffton 53-47 on senior night to improve to 13-9 heading to the post season. The Knights jumped on the Tigers early, leading 19-11 after one and 31-21 at the half. Bluffton cut the margin to 7 after three, with the Knights holding on for the 53-47 final. 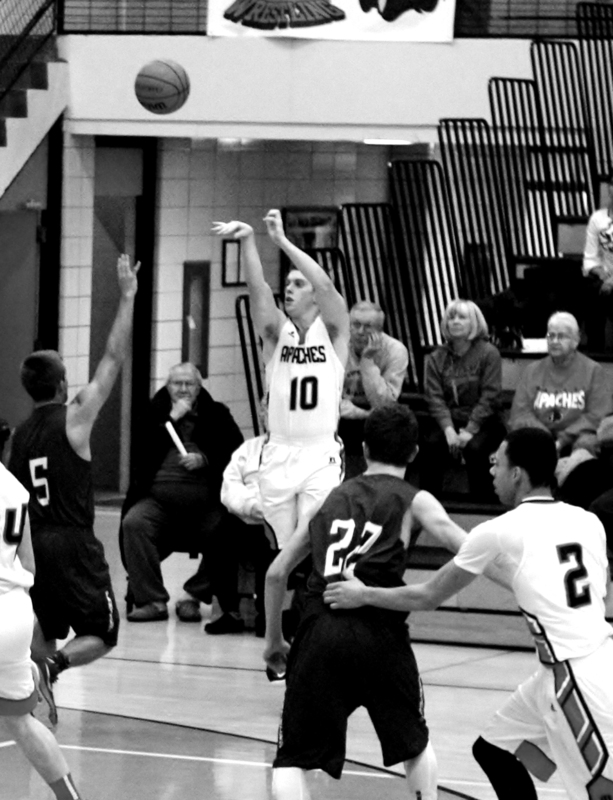 The Southwood boys’ basketball team was one win away from a piece of the Three Rivers Conference title and needed a win over county rival Northfield to get that share Friday. Jumping out to a quick 7-0 start the Knights defended home court by defeating Northfield 64-46 to share the TRC title with Tippecanoe Valley and Manchester. The quick start was just that as Carson Blair took the Alex Harmon tip off and drained a three just four seconds into the game. Robbie Cole and Brandin Frazier then hit back to back buckets for the 7-0 lead. Tanner Wilcox stopped the run with a bucket with Alex Harmon answering. Jared Short made it 9-3 with a bucket when Noah Kirk hit from long range for a 12-3 Knight lead. The Norse would respond with buckets from Heath Miller and Noah Shear to cut the lead to 12-7 when Mathew Norse drained a three to give the Knights a 15-7 lead. Austin Burns finished the scoring in the quarter as Southwood led 15-9 after one. 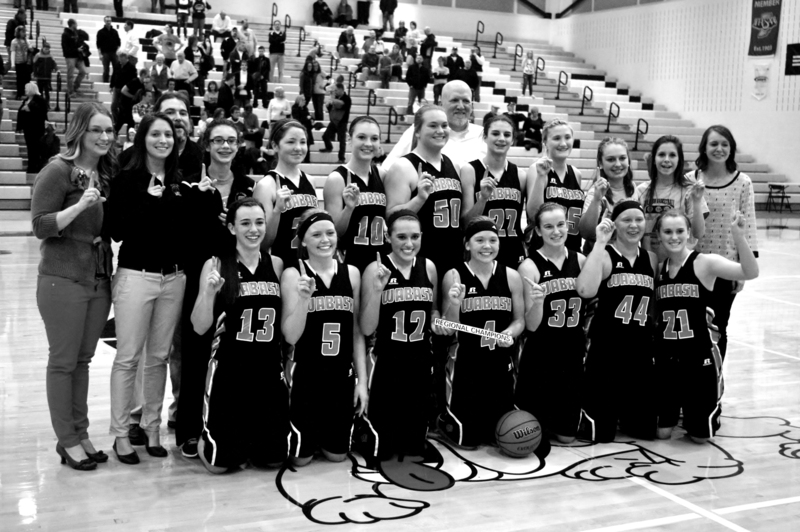 After winning their seventh straight sectional title the Wabash Lady Apaches made the trip to Lapel on Saturday for the second straight year in search of that elusive regional crown. It was no easy task as Wabash took on No.9 Shenandoah in game one, holding off a late Raider charge for a 50-47 win and another shot at a regional title. No. 10 Fountain Central defeated Sheridan on a buzzer beater in game two, setting up the championship game. The Lady Apaches trailed most of the game before wearing down the taller Mustangs in the fourth for an exciting 60-52 win to earn the schools first ever girls regional crown.